You are here: Home / Careers / What Are The Characteristics Of A Good Pharmacist? 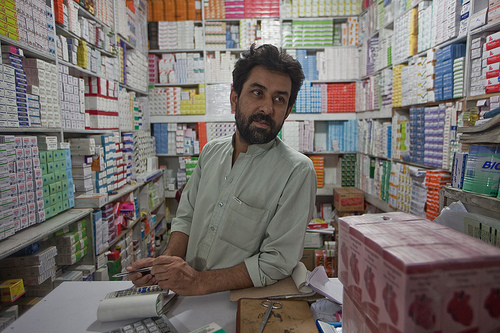 What Are The Characteristics Of A Good Pharmacist? There are certainly a lot of people in various places who wish to become a pharmacist as it is a job that can be quite rewarding with various other benefits including the relative security and flexibility that tends to come with it. As with most areas of work though there are some fundamental character traits that are required in order to do the job well so if you are interested in going down this route then it is a good idea to make sure you fit the profile. People skills are a pretty essential part of being a pharmacist as you will be working as part of a team and also interacting and helping out members of the public who require various service and advice. It is very important as a pharmacist that you can advise patients on how they should take their medicine and how often for example. When you work in an industry such as this it is simply vital to be able to give accurate and helpful advice and information. Although it takes a certain amount of education and qualifications to be able to work as a pharmacist it is not a job where the learning tends to grind to a halt at any point. In the field of medicine and healthcare there are constant developments that are occurring and it is extremely important that a pharmacist is aware of them and how they will affect their work. This is why it takes a good amount of independent learning to work in this industry. The nature of a pharmacist’s job dictates that they have to be able to remember things very well and to have a good approach to organising all the vital information and materials they are required to work with. Keeping on top of things with regard to tasks is certainly crucial. The manner in which a pharmacist works is absolutely vital to many people and this means that there is a lot of responsibility involved. If you work in a pharmacy then it is so important to acknowledge the value of the job you do and how it affects the lives and well-being of each patient that you have to see and assist. A strong sense of ethics and attention to detail are also extremely high on the list of requirements to do the job so you should only consider getting into the industry if you have these.